Pregnancy is a state of flux, and understandably so. So much is changing that sometimes it makes my head spin. The night-and-day differences in my life now versus my life a year ago are cuh-RAZY. Sometimes I can barely comprehend it all. As an infertile, there was this thing pregnant moms did that always annoyed me – more or less from jealousy, I suppose. You know when a pregnant lady is in mid conversation and then suddenly her face goes blank? She takes on this inward gaze, and maybe her hand travels to her belly of its own volition. It’s just a fleeting moment, and then she’s back with you, but it’s there. You don’t know where she just went, and it hurts when it’s not you and you can’t understand what just happened. There’s this movement inside of you that feels like a little fish swimming around (or sometimes, like a nice hard kick to the spleen), and you subconsciously reach out to still this little being, or feel more intensely so as to be more a part of your child’s movements. You aren’t seeing what’s before you, but what’s within you. You aren’t looking at the present, but the future, when that child will be in your arms. I sometimes think about those dark, intense moments of frustration, sadness, disbelief, anger, fear, and grief during the thick of infertility. During those times, I would think to myself about the future where I had a child of my own in my arms, and I’d wonder if future me would ever look back at those dark moments and remember what it was like. Those thoughts were what kept me going. The thought that in the future, I could be happy and complete, and that the past wouldn’t have impacted me the way I worried it might. In those dark moments when all seemed hopeless, the future – THIS future – was what kept me putting one foot in front of the other for one more day, one more month, one more year. And so I say to all who still wait – there is hope. I can’t tell you that your future will definitely see you with a child in your arms, or if it will, how long it might be, or that you won’t struggle and suffer and grieve on your way to that future, but I can tell you that the old cliché is right: it’s always darkest just before dawn. I used to hate hearing that… It’s almost like your great-grandmother’s version of “everything happens in its own time, honey”. It was annoying to think about, but from here I can see how true it is. The problem with the statement is that we have no idea how close to our journey’s dawn we are at any given moment. In the first couple of years we tried to get pregnant, I thought I was a month away EVERY MONTH. I figured one month must equal one hour ticking by on my journey’s clock. So maybe each hour that ticked by was a year, but I had no way of knowing that back then. It was dark all those years, and it got darker as time went by. The problem is that when it’s dark all around you, how can you really tell if it’s “darkest”? The truth is that you can’t. You lose sight of lighter days with which to compare your current state. It’s all objective anyway, right? The only way to really know if you are currently in your darkest days is to come out the other side, into the light. Hindsight. Ugh. And so I say to all who still wait – the light is out here, and you’ll find your way through the dark. I just wish I could tell you how long. And the truth is that I can’t. But you know what? Each of our journeys is unique to us. I needed to wander in the dark for five years. Maybe you can do with less, and maybe it will be more. Maybe your journey won’t end with a baby, but a new take on what a complete life can be for you. Maybe a child will come to you in a way that you never expected, shining a blinding light in your darkness and rocking your entire world to its core. The awful beauty of it is that it’s not for us to know. We each have to live it for ourselves. All I can tell you is to live. Survive. Fight, advocate, and strive for better treatment in whatever way works best for you. Hope, dream, and don’t let go of that lightness inside of you that still believes. Ever. None of us can know what is right around the next corner, nor how the next day, month, or year in our journey will play out. What we must always remember, however, is that we are more than the paths we’ve walked. You are more than your circumstances. You are defined only by the actions you take. You are strong enough to not let this turn you hard. You are capable of doing more and being more. You dream for a reason – do not ever give up on those dreams. are worth so much more than giving up. You are worth your hope. 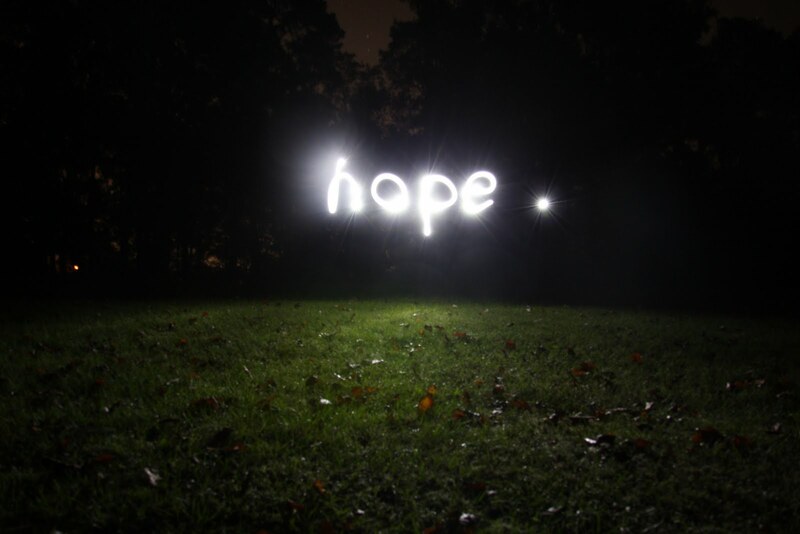 Let your hope shine as a light in the darkness. It won’t tell you where you are on the path, but it will allow you to put one foot in front of the other for one more day. And really, every step forward is one step closer to our dreams. I love the way you write. Just the right amount of “keep hoping” without the annoying proclamation that “it WILL happen”. I still fantasize about holding my baby, teaching my toddler, putting up with my teenager, enjoying my adult child, and holding my grandchildren. But I know that there are no guarantees in life, and no matter what, I need to find peace and happiness in this moment, even though in this moment I am not a mother. Such a comforting post. You acknowledged the pain and you gave hope in the right way. Because You Asked… And Because I’m an Open Book: Details, the Baby Edition.